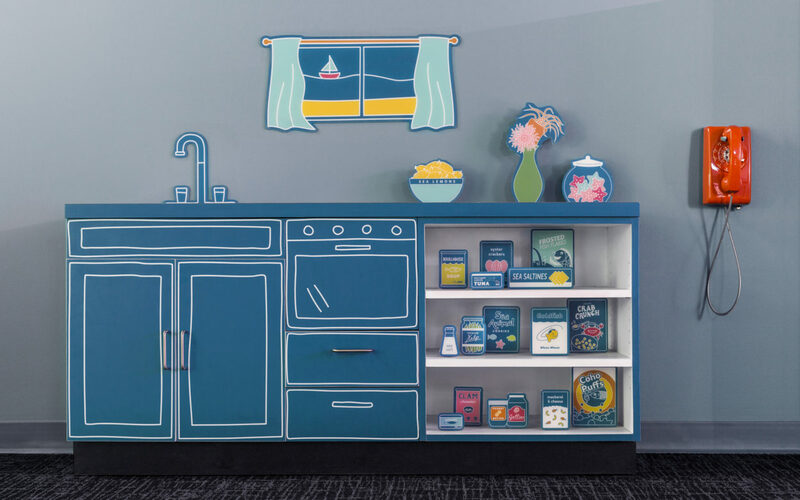 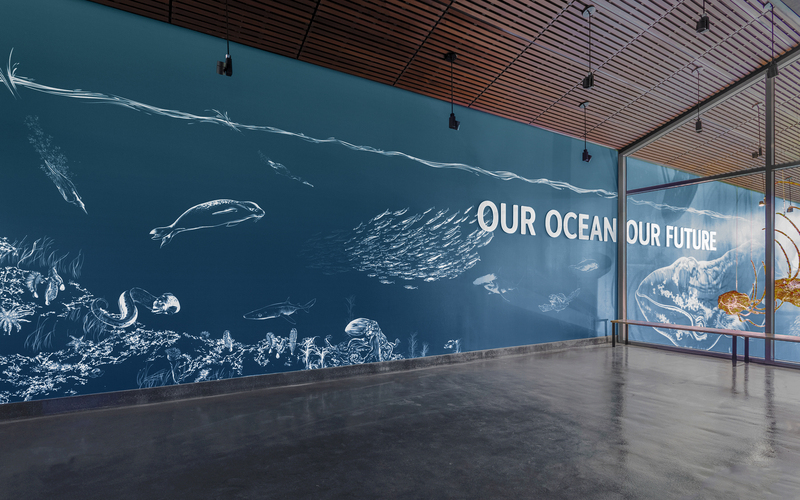 Custom illustrations feature at this new family-oriented Pacific Seas Aquarium at Point Defiance Zoo & Aquarium. 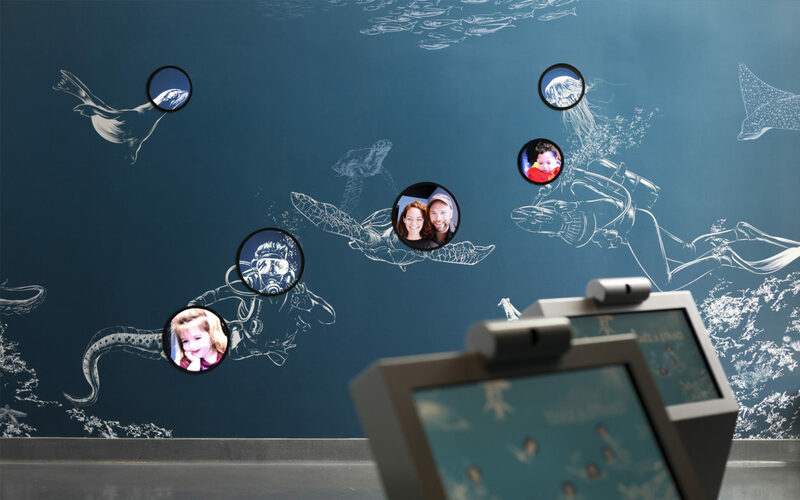 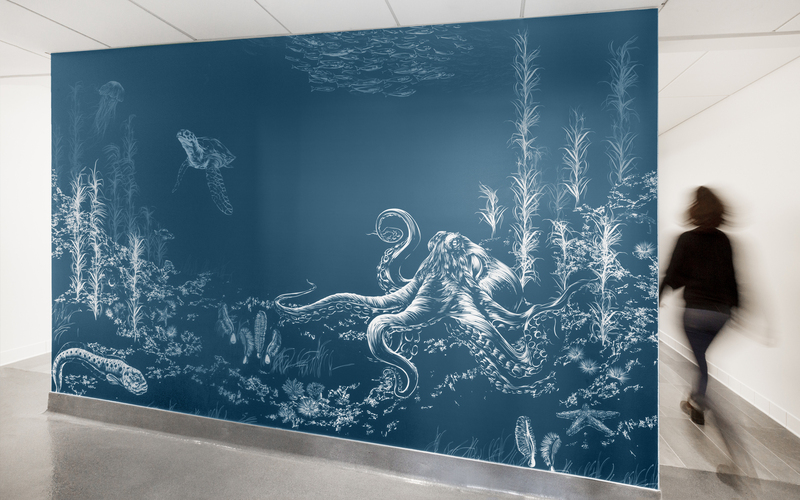 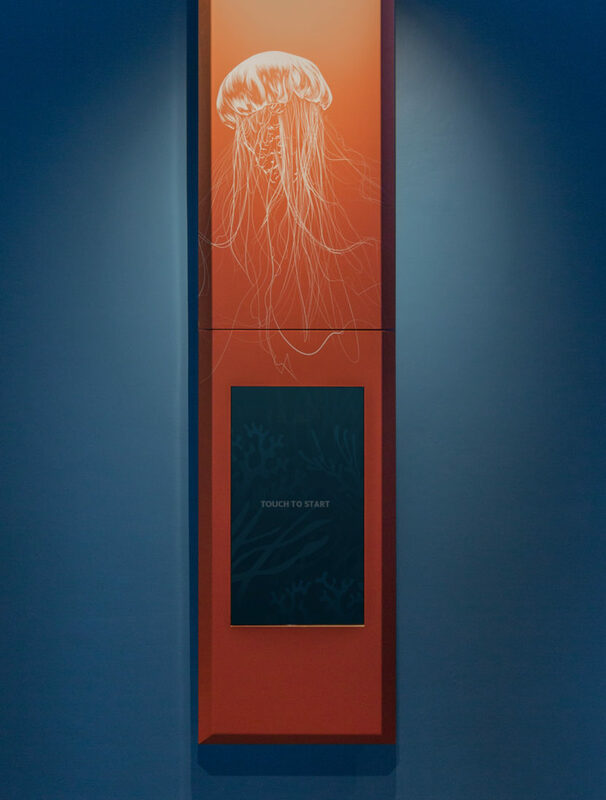 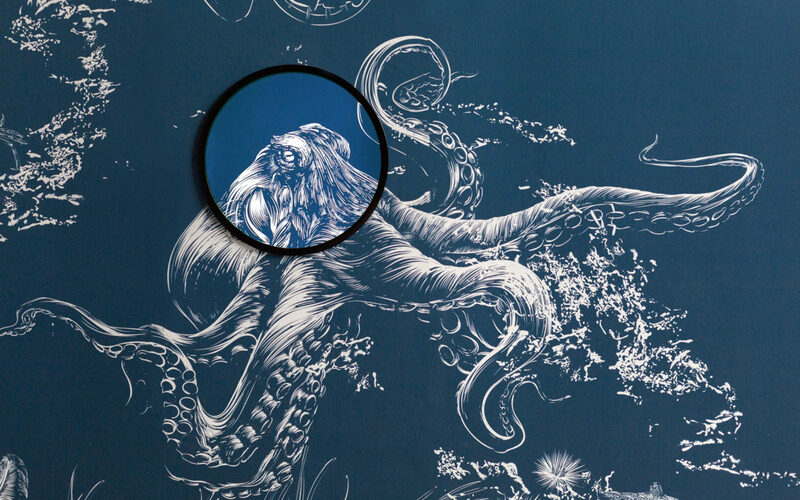 Visitors can take a self-portrait and become an “underwater local”—a sea lion, an octopus, or even a wolf eel—displayed as part of a large wall mural. 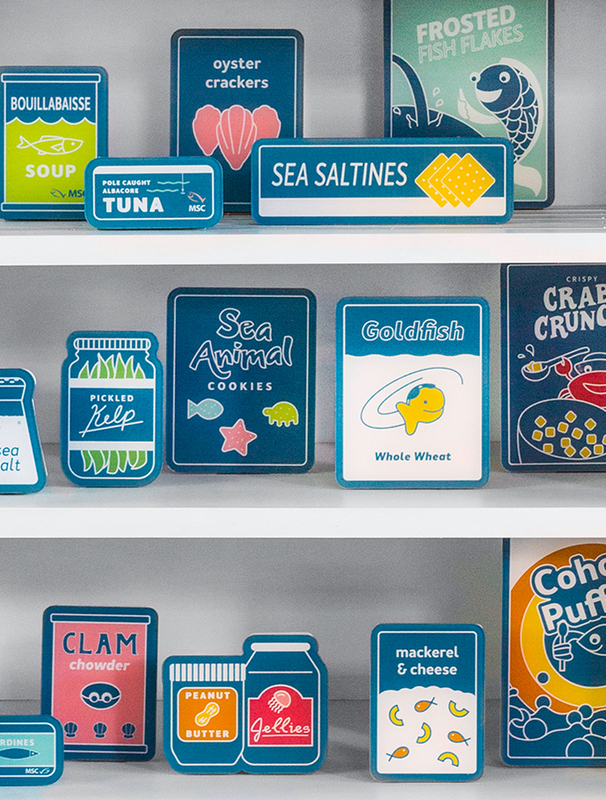 Elsewhere, families can play in the sea kitchen, answering the phone (the ocean is calling), and “sampling” Coho Puffs and Mackerel & Cheese. 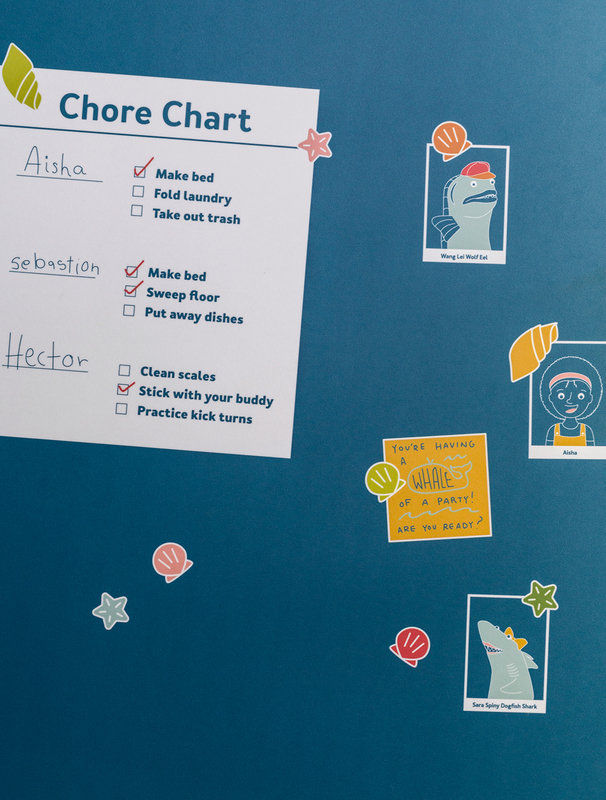 On the fridge is a list of chores for the fish kids. 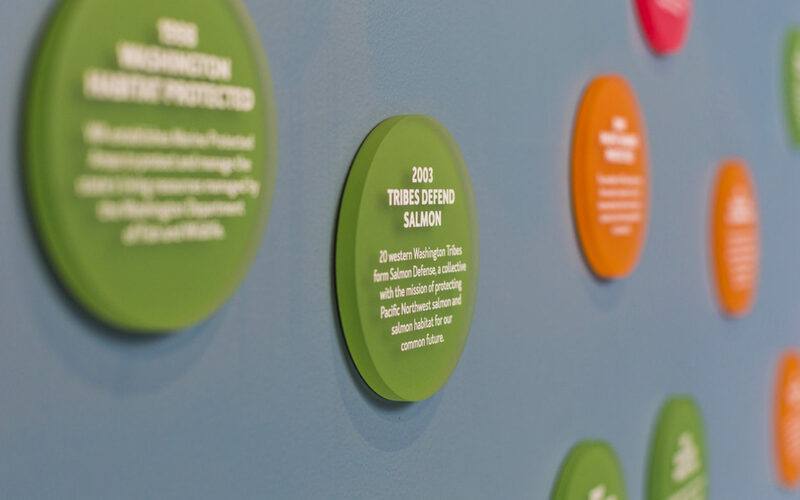 Just as we need to care for our own homes for clean and healthy living, the same is true for our local waters. 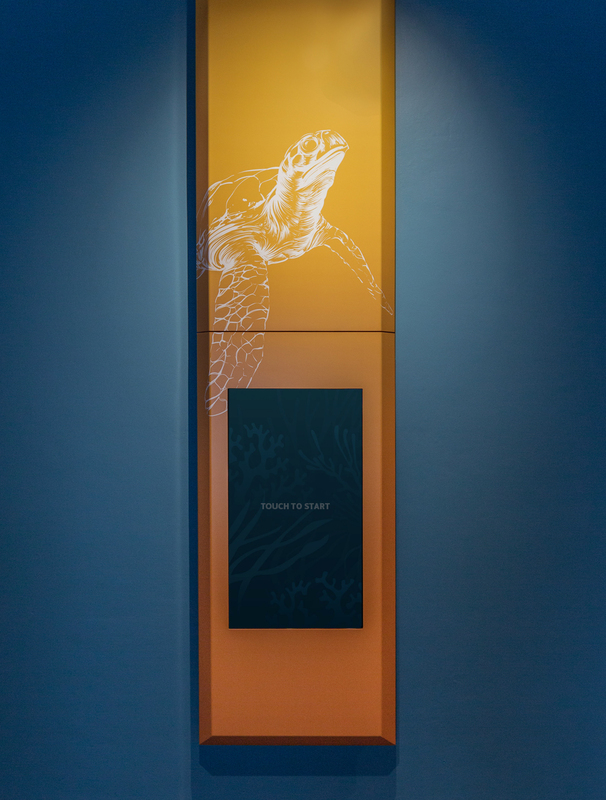 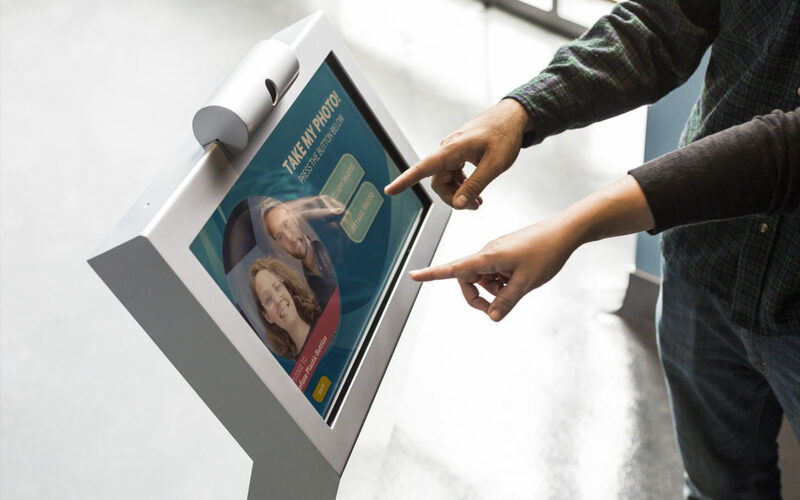 Other low-tech interactives and illustrations augment the live animal exhibits that feature in the Aquarium.